This traditional Irish pub has a cosy tavern-style interior that oozes character in the heart of Auckland's Newmarket suburb. The pub has become a local favourite, known for its busy events schedule and award winning offering of Irish Guinness. There's something organised most nights of the week, with Thursday karaoke sessions and Wednesday pub quizzes just some of the regular highlights at the Claddagh. Live music features on most weekends. Aside from a drinks menu that's complete with the traditional Irish 'must-haves', the Claddagh serves hearty pub food every day with a number of vegetarian options on offer. Catering options for function parties are also available, with a private suite and bar on-site for large groups. 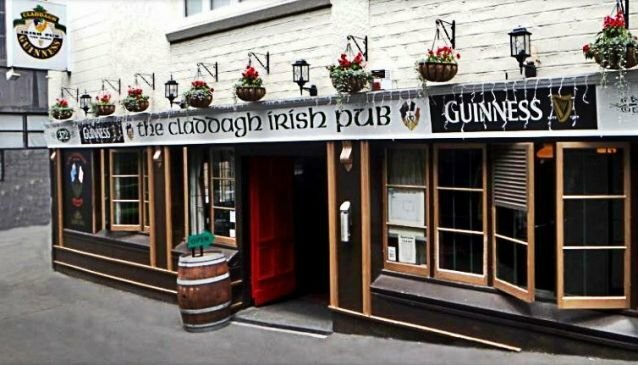 The Claddagh is open every day 12.00pm - Late.